How to survive Wimbledon in this heatwave. If you are lucky enough to be heading to Wimbledon this fortnight I’ve got good news and bad for you. The good news is that the weather is set to be dreamily hot all tournament. The bad news being that this means it’s going to flipping scorchio so if you are in a seat in the sun you need to take some precautions in order to be prepped to enjoy your day. So here are a few ways to beat the heat at Wimbledon this season. First up make sure you wear a hat and sunnies and pack some sunscreen A Panama or Fedora are the titfers of choice – anything more wide-brimmed may have your fellow audience grumbling about not being able to watch the game – it’s not Ascot after all ladies. Should you forget your hat, there’s always Wimbledon merch to purchase, but prices are suitably lofty as befits a captured market so be prepared to cough up for a baseball cap. Bumped into these two crazies – Pascale (@stylemum) wears Karen Millen dress, Rae Feather book basket, Kat (@doesmybumlook40) wears dress by Neve and Noor, my dress is Me + EM, basket The White Company, shoes Gucci. 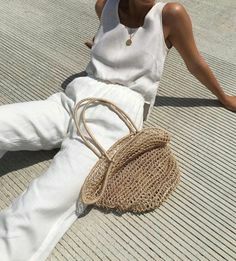 Secondly, go for light summer layers – cotton and fine gauge knits are a winner so that you can peel off should your seat happen to be in the sun or layer up if you score a shady spot. White is the perfect choice as it shows a nod to the strict players dress code of white only on the tennis court. Summer blues or florals are also a winner. Don’t turn up in your slogan tee or emblazoned in designer logos though as this is considered ambush marketing and you will be turned away. 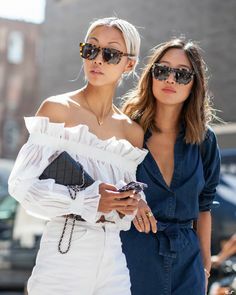 If you’re lucky enough to be heading to the Members Enclosure as we were, then denim is a no-no and think conservative as opposed to boho beach vibes. If you’re staying to the bitter end, there’s always a bit of a chill when the sun goes down so take a wrap or an extra layer to pop on for your journey home. Thirdly make sure you keep hydrated – bring your own bottle of water and make use of the many water stations on site to refill during the day – they have amazing sensors on the water stations which can turn on when you pop your bottle underneath and stop dispensing when your bottle is full enough. Although it being Wimbledon and all, it would also be churlish not to have a local tipple or two – when in Rome and all that. Also, it’s a great idea to make friends with your seat neighbours – seating is cosy (think economy air flights cosy). So if you’re strapped in for a nail-biting five-setter it makes sense to keep a little friendly banter on the go in this heat – a bit like making holiday friends – you probably won’t be lifelong buds, but it doesn’t hurt to spread a little camaraderie when in the trenches. Finally get up and walk around now and again – staying with the airline analogy long-haul flights comes to mind – to avoid the onset of a bout of DVT try a little stroll around the outer courts where you may catch a glimpse of a future champion or two honing their craft. You can also keep an eye on the scoreboards or join the throng on Henman Hill to watch a significant match going on on a show court. Or simply people watch and marvel at the myriad of types of tennis fans who are drawn to this great British sporting event each year. Wimbledon in the heat… what to wear. 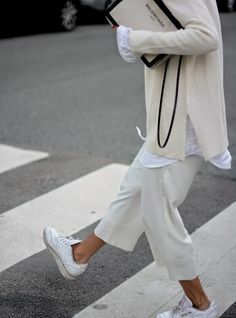 Wimbledon is the perfect time to snap up a little white for your wardrobe – look for natural fabrics which work well in the heat like cottons, linens and broderie anglaise or crochet so you don’t fall prey to the evil sweaty back syndrome whilst squished in your seat clutching your Pimm’s in the sun. Pastels, polka dots, ginghBreton breton stripes also work a treat and are bang on trend for the summer to boot. Here are a few of my fave pieces out there right now – loads of which are on sale and great for the summer social season. Click the images to shop. For more summer season event dressing advice head here or here.